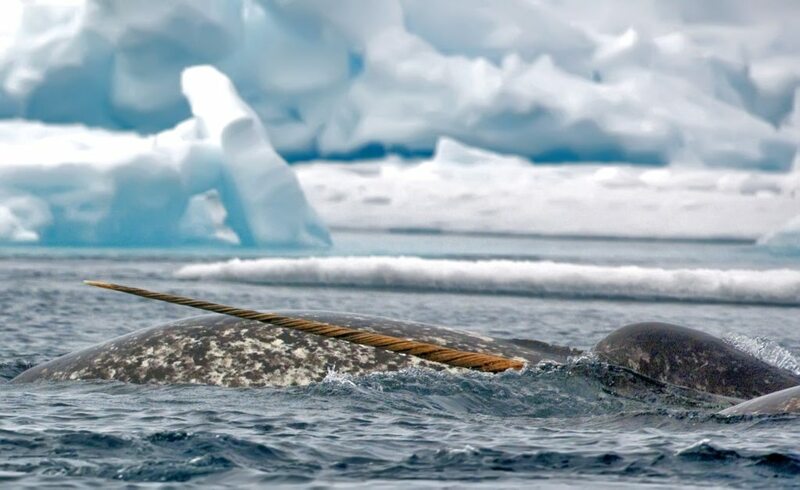 Travellers often ask, ‘Are narwhals endangered?’ Known as the ‘unicorns of the sea’ it’s no wonder that voyagers often question this species. 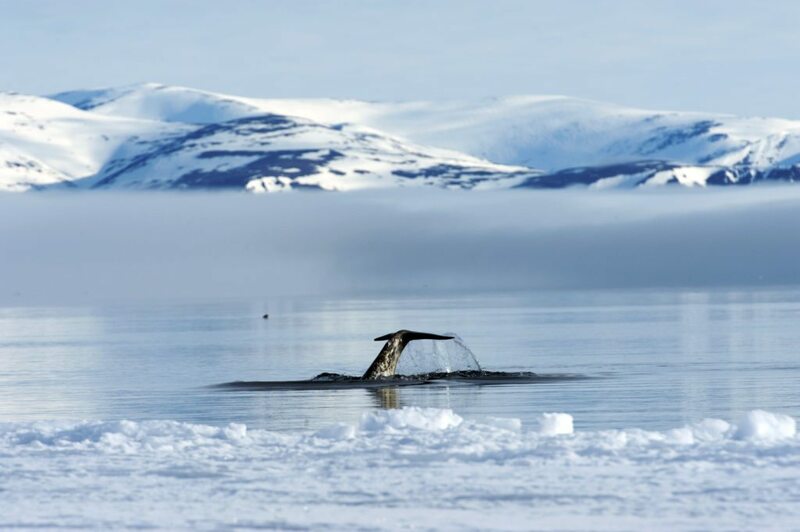 Narwhal watching is also one of the most sought-after experiences on trips to the Arctic Circle. Narwhals have never been successfully kept in captivity – the only way to view them is in the wild. The few places to see narwhal include the floe edge of Lancaster Sound and the Baffin Bay in Canada’s High Arctic. 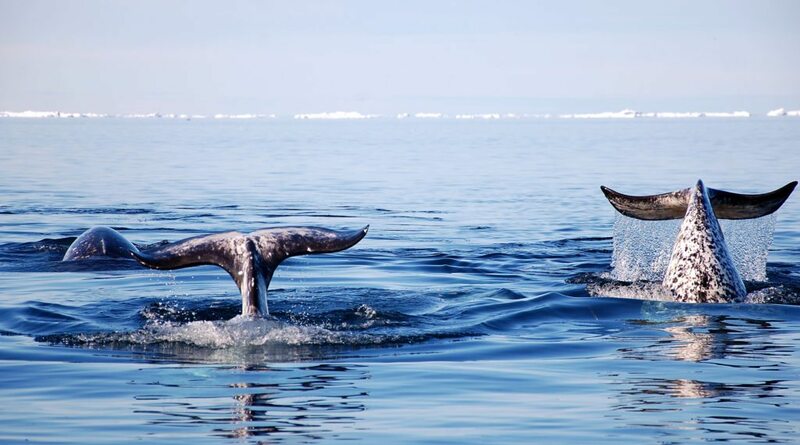 Travellers on our Narwhal & Polar Bear Safari and Great Migrations of the Northwest Passage are always delighted to view narwhal while whale watching along the floe edge. 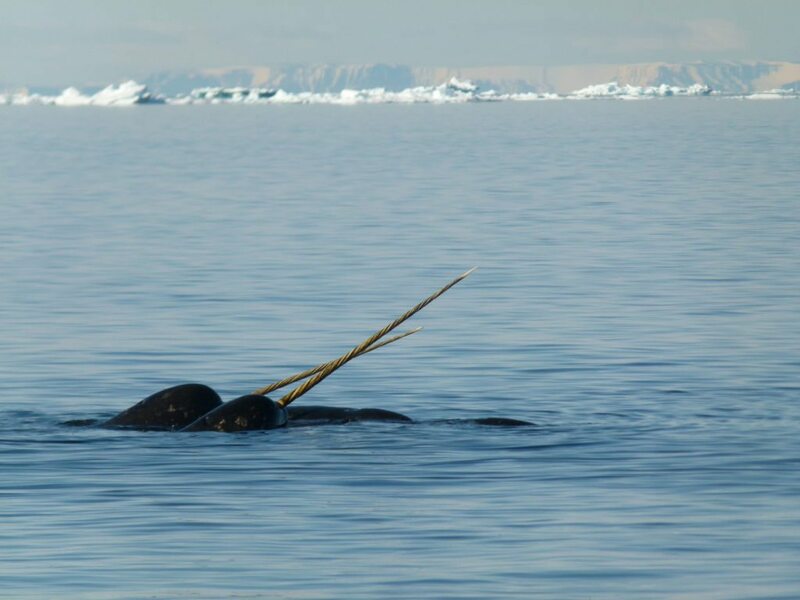 You can spot narwhal at the northern reaches of Baffin Island, Nunavut during the annual migration to their summer feeding grounds in May and June. It’s even more thrilling to see them in pods of up to 50 – 100! Plus, at this time of year, you can see them under the soft glow of the Midnight Sun. In Canada, narwhal (monodon monoceros) are identified as “special concern” by the Committee on the Status of Endangered Wildlife in Canada (COSEWIC). This indicates species that may become threatened or endangered because of a combination of biological characteristics and identified threats. Narwhal populations are estimated at 80,000, with more than three-quarters spending their summers in the Canadian Arctic. There are two main populations of narwhal found in Canada: the Baffin Bay and Hudson Bay populations. Unlike some whale species that migrate, narwhals spend their lives in the Arctic waters of Canada, Greenland, Norway and Russia. The average lifespan of the narwhal is 30-40 years but many have reportedly lived beyond that, up to 50 years old! Newborn narwhal are speckled blue-grey, teens are blue-black, adults are speckled grey and old narwhal are almost all white. Narwhal tusks are a sensory organ with millions of nerve endings. It is thought that the rubbing together of tusks is thought to be a way to communicate information, and discoveries also indicate that narwhals use their tusks for feeding. Majority of male narwhal develop the elongated tusk. On very rare occasions females have been spotted with them. The elongated tooth grows into a long, spiralled tusk which can grow up to 10 ft long. It is most commonly recognized as the left protrusion but occasionally a right tusk develops too, giving some narwhal two tusks! This whale species are one of the deepest diving marine mammals. They can dive as deep as 1,500 m (4,500 ft) lasting around 25 minutes under water. Narwhal can spend more than three hours a day underwater below 800 m depths. 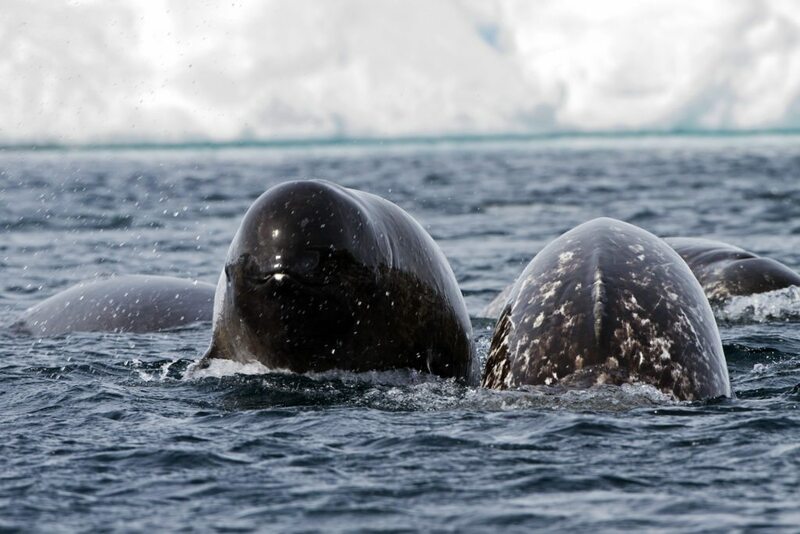 Like other Arctic whales including bowhead and beluga, narwhals don’t have a dorsal fin. The absence of a dorsal fin allows narwhal, and other Arctic whales, to prevent heat loss, reducing surface area, and allows them to swim under ice sheets. Want to see narwhal for yourself? Explore the floe edge near Pond Inlet, Nunavut for opportunities to view narwhal, polar bears, thousands of seabirds and other Arctic wildlife under the Midnight Sun. Departures in May and June. Learn more here. Experience 24-hours of sunshine in the region world-renowned as the most prolific wildlife area in the Arctic: the floe edge of Lancaster Sound. Get chances to see narwhal, beluga, polar bears, and more in June. Learn more here. Want to build a custom itinerary to view narwhal in the Arctic? Contact our Arctic Travel Advisors to start planning your Private Journey. We can build a fully-customized itinerary for opportunities to view narwhal and other unique wildlife and natural phenomena to bring your Arctic dreams to life.